Once your SSL certificate is installed, you need to make sure that all of the pages that will be displayed behind the SSL (using https:// protocol), are secure and no insecure content is being requested throughout your pages. 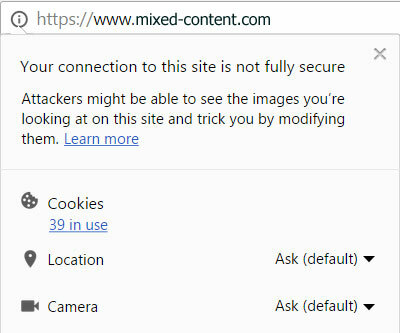 Without taking the necessary actions as outlined below, most of the web browser will still show your website as being insecure, despite having an actual SSL in place. This is the most common issue of all SSL errors, but is also one of the easiest to fix. 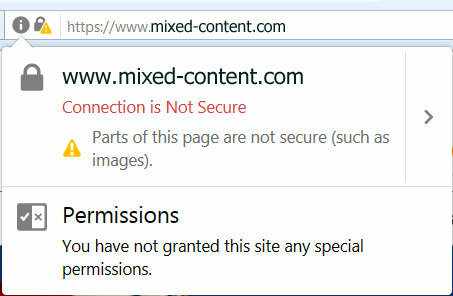 Don't call any insecure content using http:// references in your pages. Change all references and links from HTTP to HTTPS. Use relative links on your website instead of absolute links. For example, instead of src=“http://mydomain.com/my-script.js“, use scr=“/my-script.js“. Then, if your main page is accessed over HTTPS, the browser will also load /my-script.js over HTTPS. This technique is also very useful if your page references external content that is explicitly server over HTTP (YouTube or Google Analytics, for example). Tell the search engine that the HTTPS version is authoritative by (1) Updating link to point to the HTTPS version (2) Updating the XML sitemap to refer to the HTTPS version of your content. Making these changes means the search engine will index the SSL version of your site and present this version in the search engine results. Make sure robots.txt is available over HTTPS. Redirect all HTTP requests to the HTTPS version with a permanent 301 redirect. This means your search engine page rank will be transferred to the HTTPS version. Update Google webmaster tools to reference the HTTPS version of your site instead of HTTP. You can check your application vendor for any modules/tools which can help you easily fix insecure content.